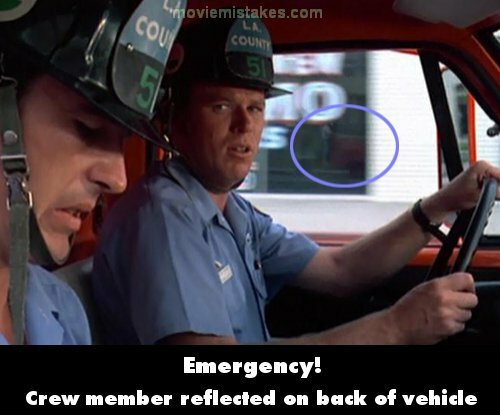 Visible crew/equipment: When Squad 51 is dispatched to 'man unconscious possible heart attack', while en route, two shots after Roy says "It's gonna be a long run," the reflection of the squad is visible on windows they drive past, and we can see the reflection of a crew member who's standing on the back of the moving squad. Slow motion is not necessary to see this. 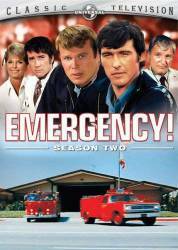 However, if you're into slo-mo you can catch it again later, when John and Roy head to the traffic accident victim.